Posted at 20:33. Tags: Canon EOS 30D, memory card. Categories: Canon, photography. Both comments and trackbacks are closed. Thank you for this timely post. I just bought a 16Gb card for my Rebel XT and run into the exact scenario you described. David, finally a post that really helped. Thank you. 99% of the other posts on the internet for the same problem just tell people that they have been duped, and the cards are really only 8GB. okerhzHey ! This is great ! Just what I needed. Thanks !!!!!!! It’s funny that I just had this very same problem on the Canon 350D/Digital Rebel XT and a quick search pointed to your blogpost. Thank you so very much. Yes man, today the price of mostly computer devices has been decreased too much. One example is with you example………. I’m so glad I wasnt the only one having this problem! I tried what you said but it’s still telling me I have 8gb on my card… Would you by any chance have any idea what I’m doing wrong? Thanks! Anonymous, it was a while since I did this … is there any where you can choose to format 16 GB instead of 8 GB? Doens’t that work? Thanks, Your post is providing solution to the people. Thanks for the info, great timing – that tool worked great for me. I had no idea windows refuses to handle multi-partition removable drives. Had this problem with my Rebel XT. My 16GB card was already formatted as 16GB when it arrived. But after using it for a while I formatted it on the Rebel XT (firmware 1.0.3). I realized it had an issue because it formatted it to 8GB even though it showed 15.0GB as the size of the card.Then the PC shows it as 2 separate 8GB partitions and wouldn’t format it to 16GB – but that tool worked great. Thank you so much. Big thanks for that. Worked great. Just updated my Canon 30D to the new firmware 1.0.6 and it worked like a charm. 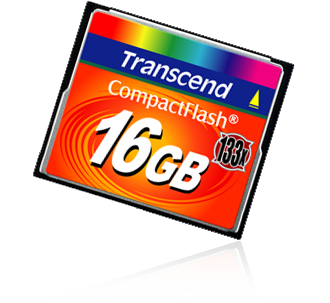 I formatted my 16GB card to a full 16GB in my camera. Thanks Canon! This was the first time I really needed a firmware update. Ah, great! This settled up some contradictions I’ve heard. Cheers mate, same problem. I had a whopping 8gb of my 16gb being unusable for the past 2 years till I found your solution. Can’t thank you enough.